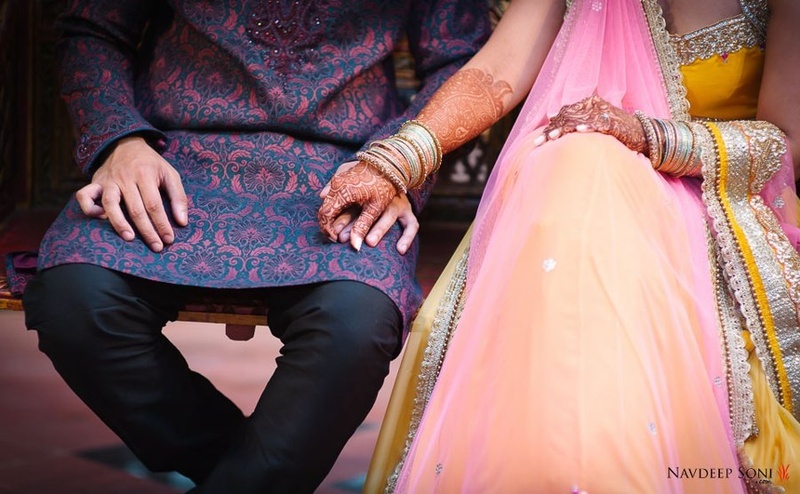 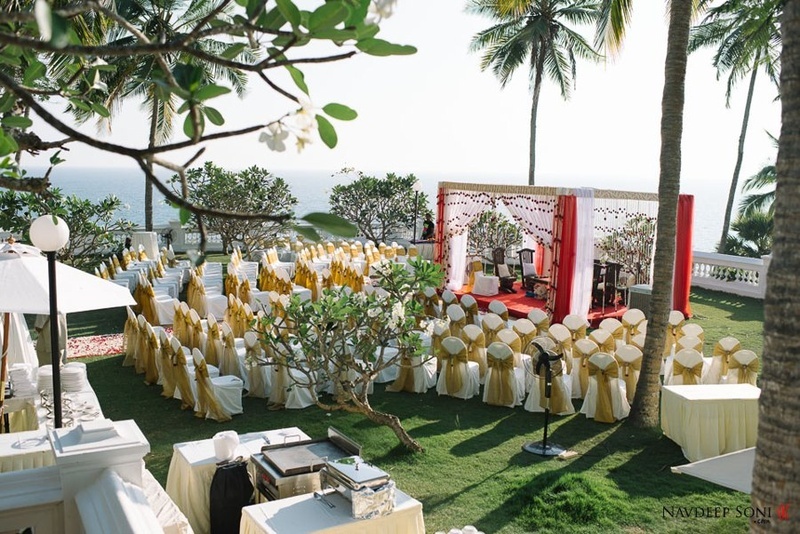 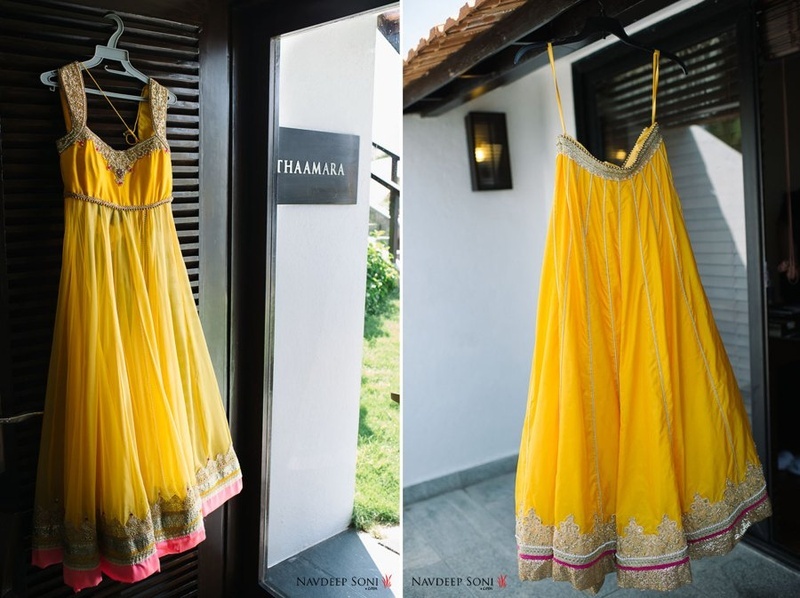 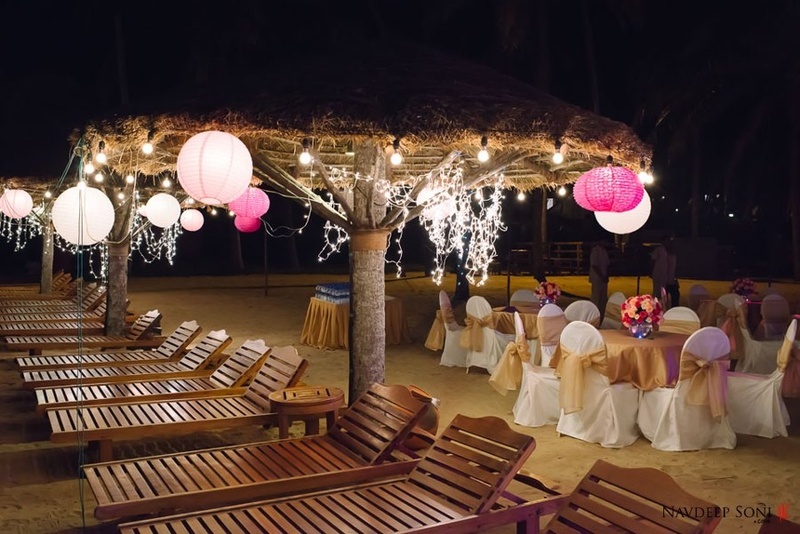 When we say destination wedding, we immediately think – Goa, Jaipur, Udaipur! 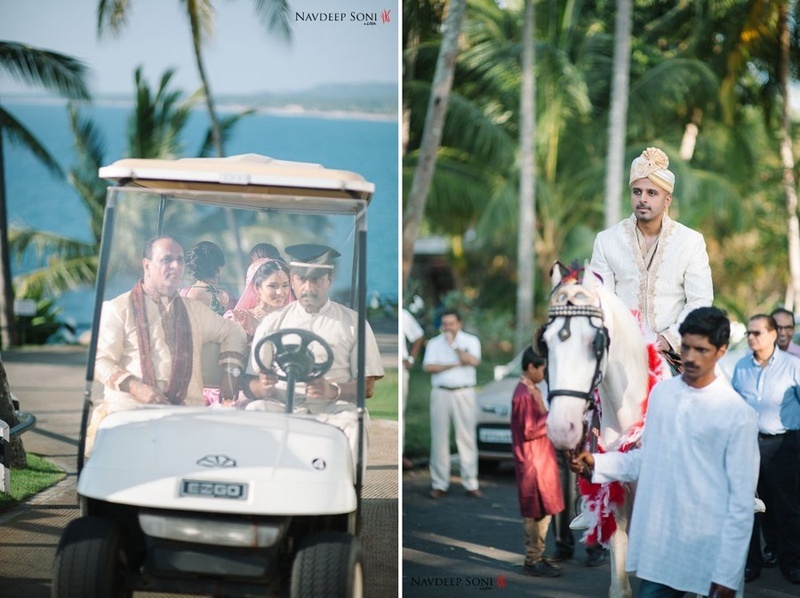 But this stunning couple thought a little out of the box, going all the way down south to host their wedding at The Leela, Kovalam. 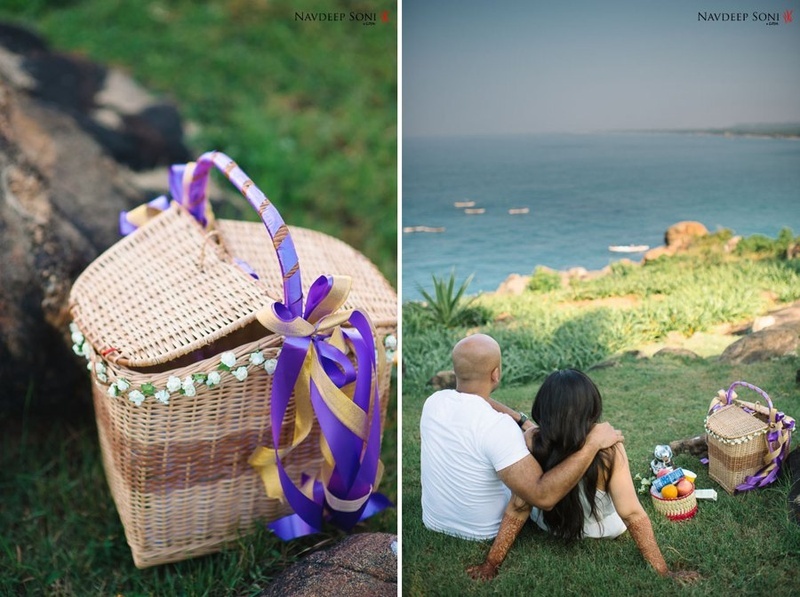 Perched on a cliff with a clear view of the deep blue sea, it lent a romantic vibe to Neetu and Abhishek’s wedding celebrations. 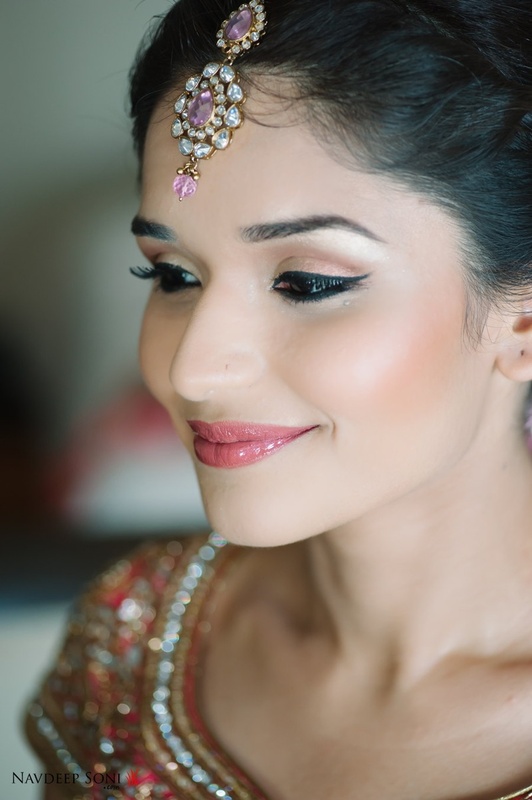 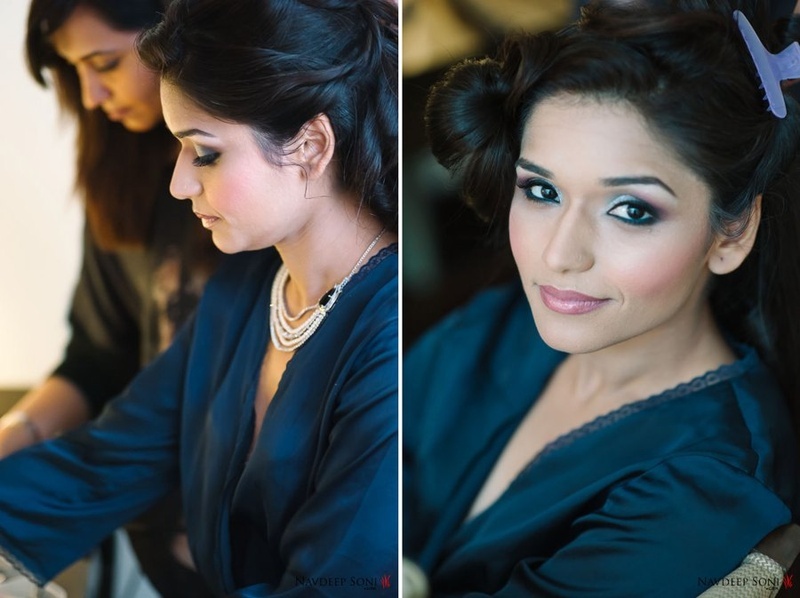 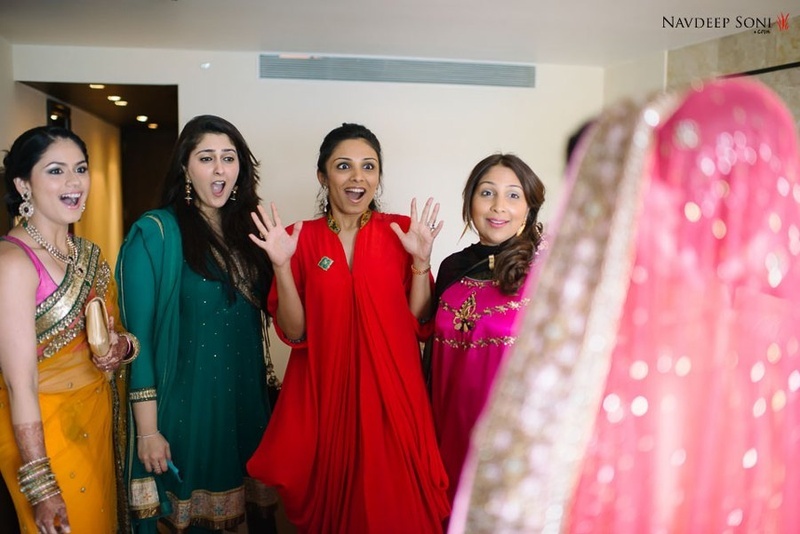 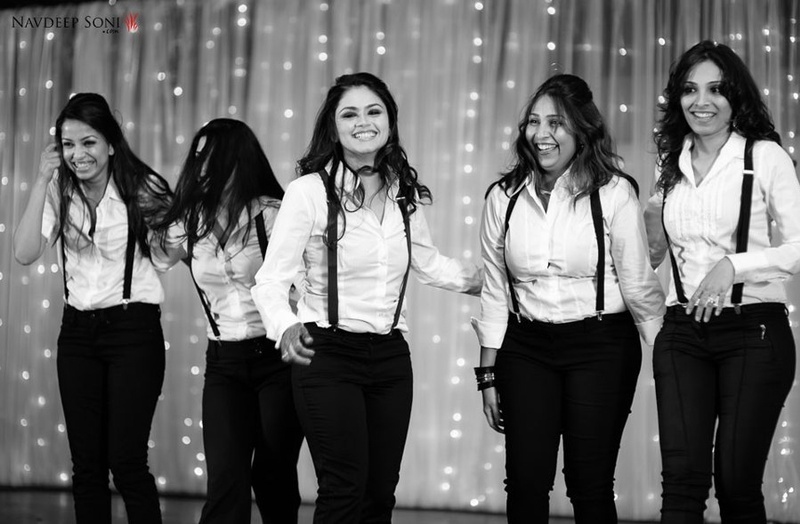 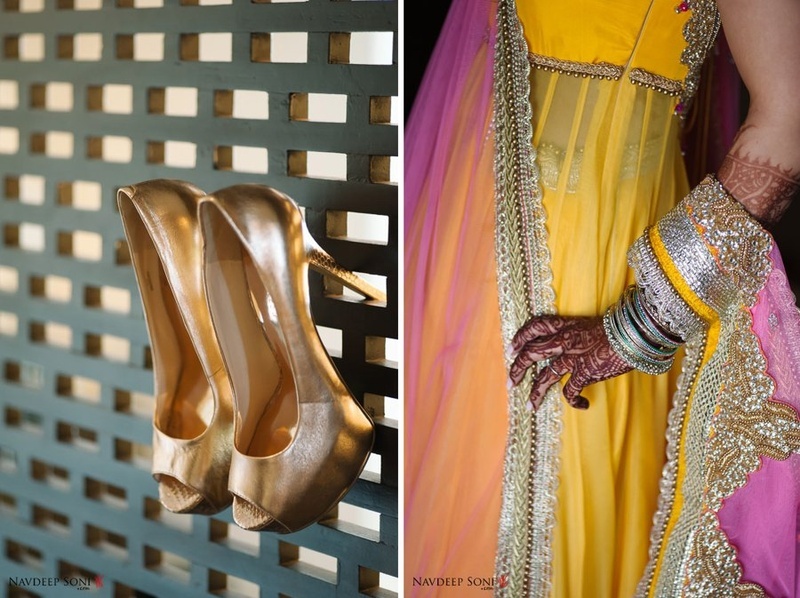 Ace wedding photographer Navdeep Soni shot this tasteful wedding with utmost precision and style, right from the pre-wedding shoot up until the dance-filled reception. 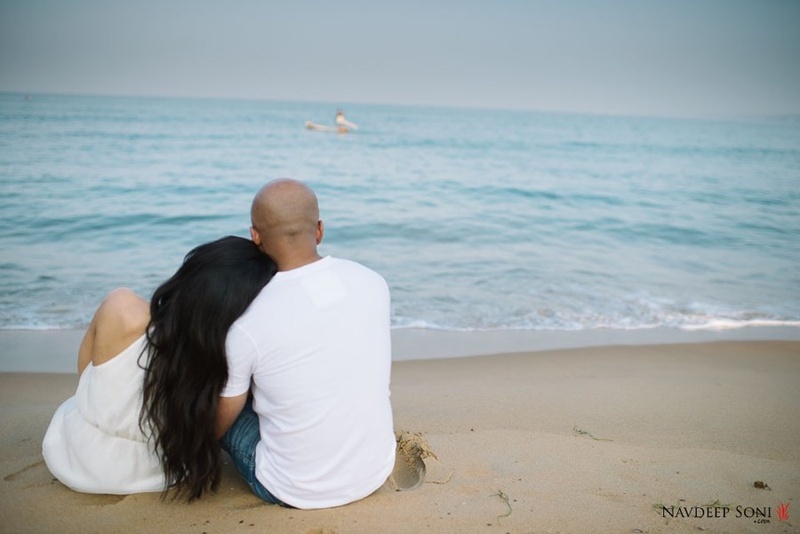 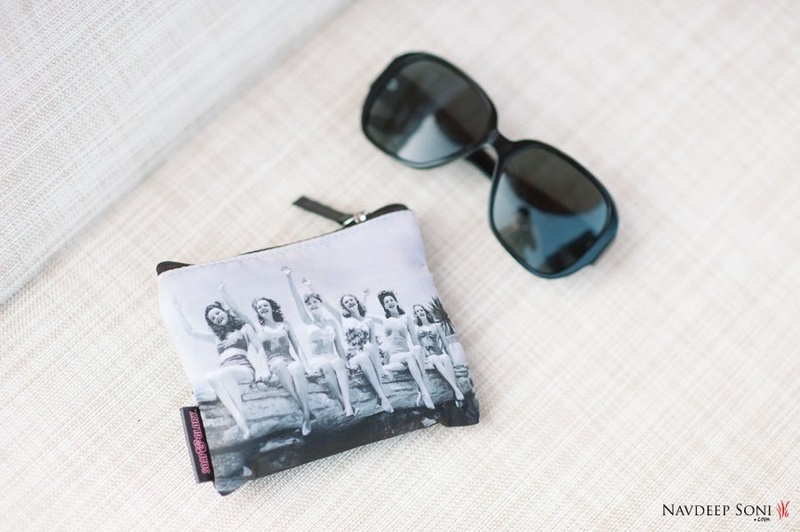 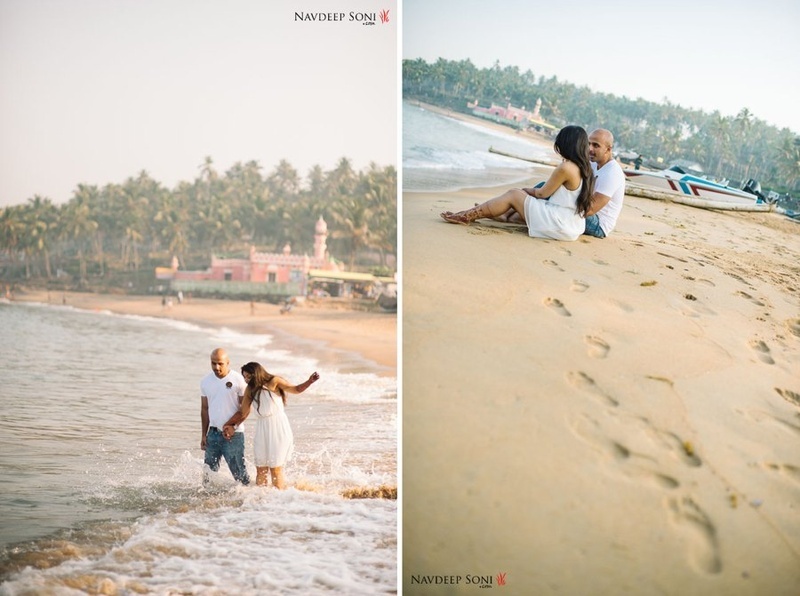 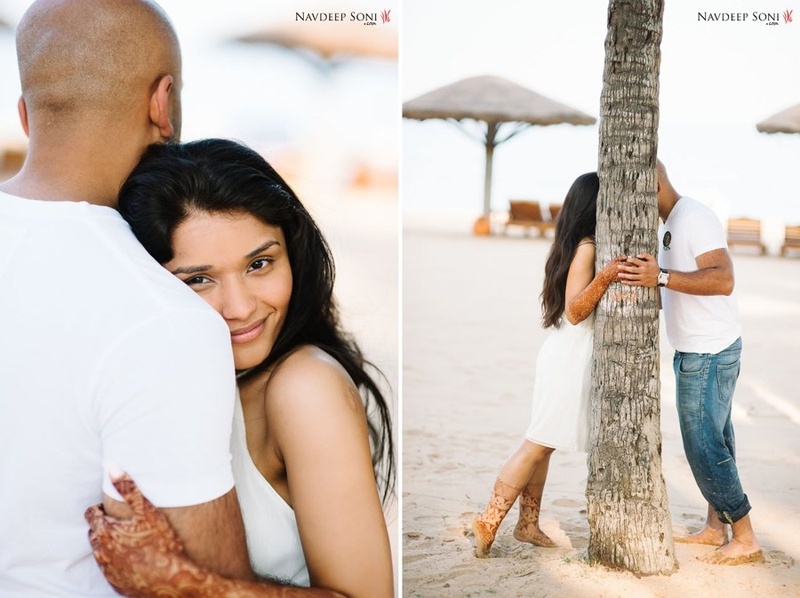 Before any of the celebratory events could begin, he took this duo out to the beach front and near the infinity pool to capture some sweet photographs moments before their big day. 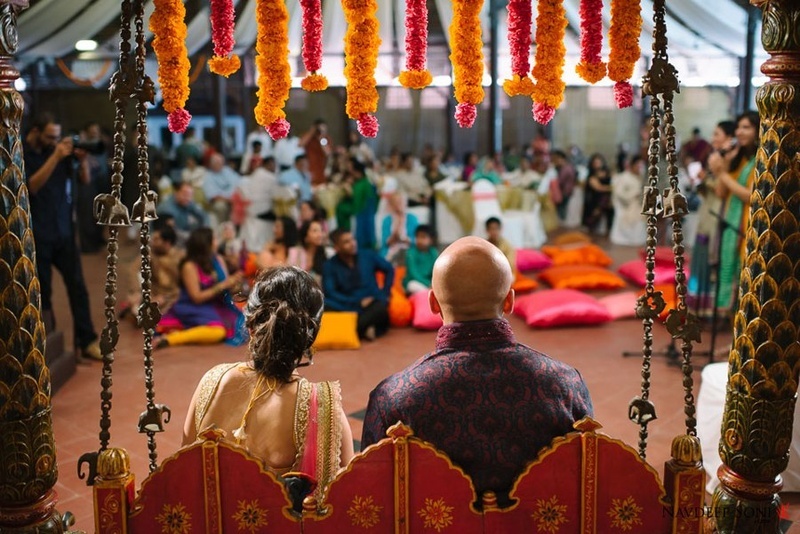 We love how each ceremony had a distinct theme set to it. 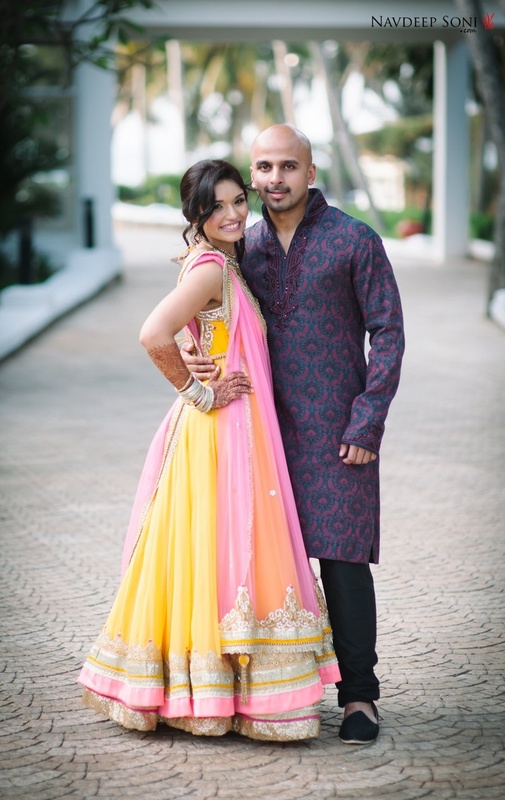 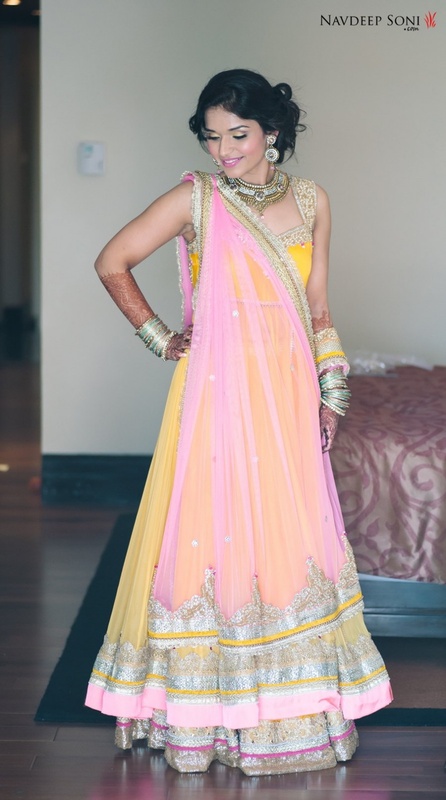 The Mehndi was all-out traditional with jhoolas and marigold laden décor – bright yellows and pinks dominated, while the Sangeet was oh-so-chic and classy. 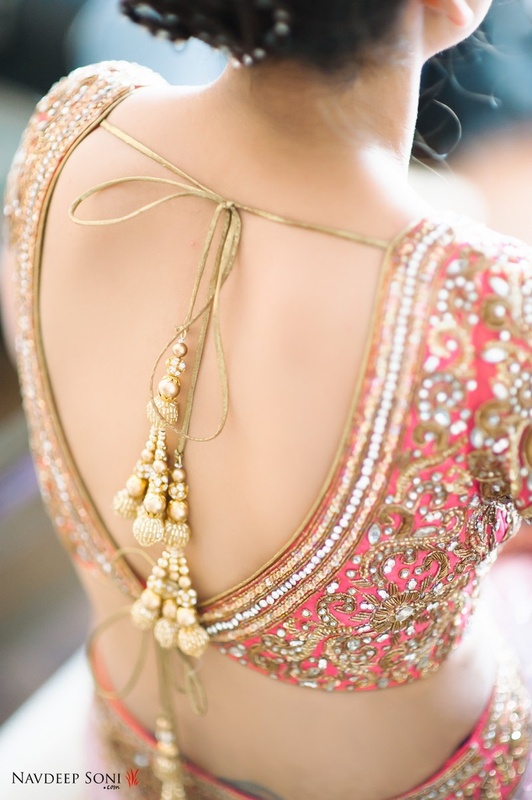 Held indoors, it was oozing with elegance. 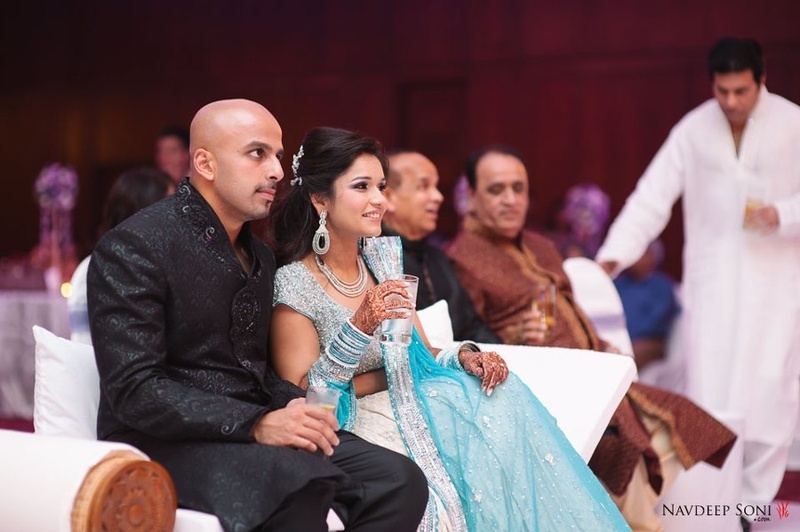 The gorgeous bride-to-be was dressed in a shimmery sky blue and silver lehenga while the dapper Abhishek donned a stunning black damask textured sherwani. 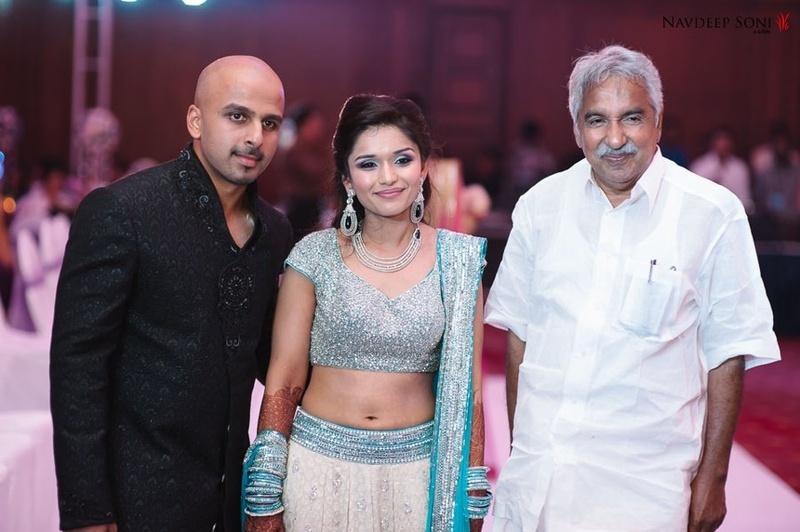 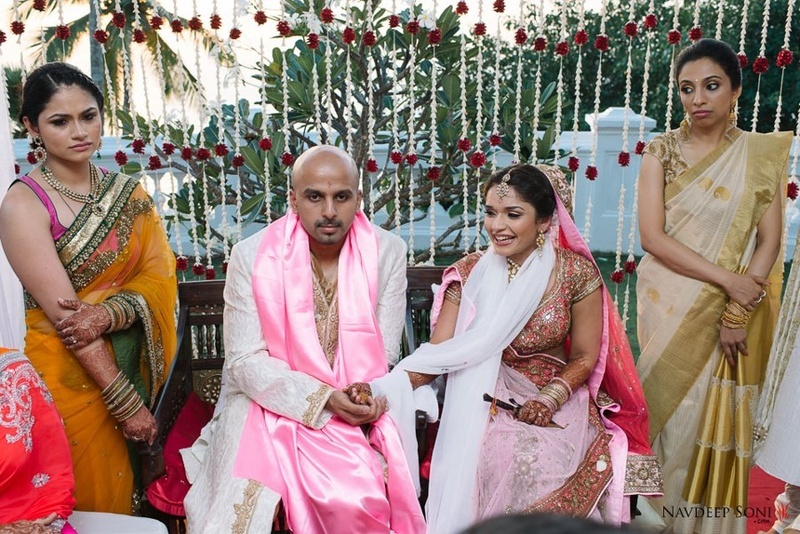 After loads of dancing, drinking and performances by friends of the couple and professional bharatnatayam dancers, the next day brought with it their tasteful wedding. 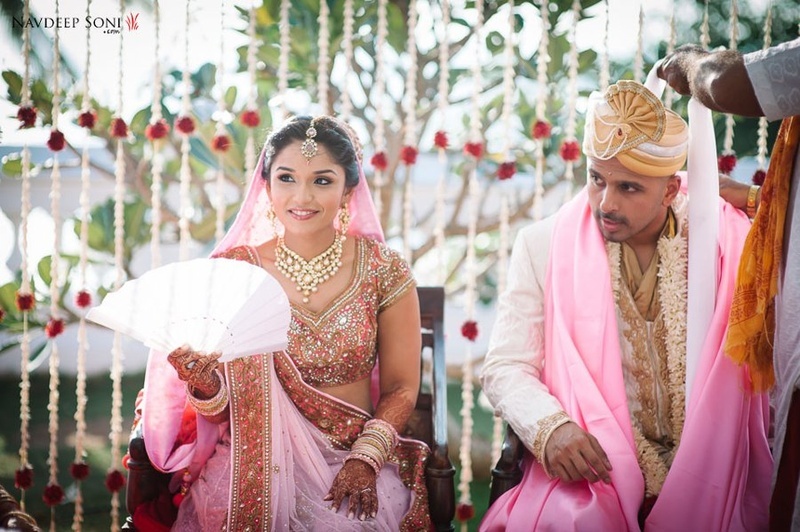 Neetu opted to go for minimal yet elegant décor, letting the venue and view be the highlight of it all. 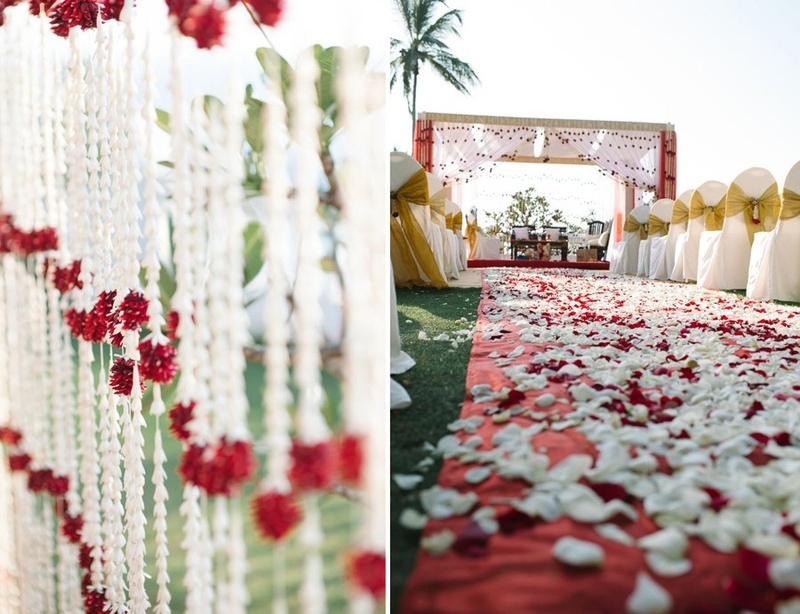 An all-white and red mandap with gorgeous accents of gold. 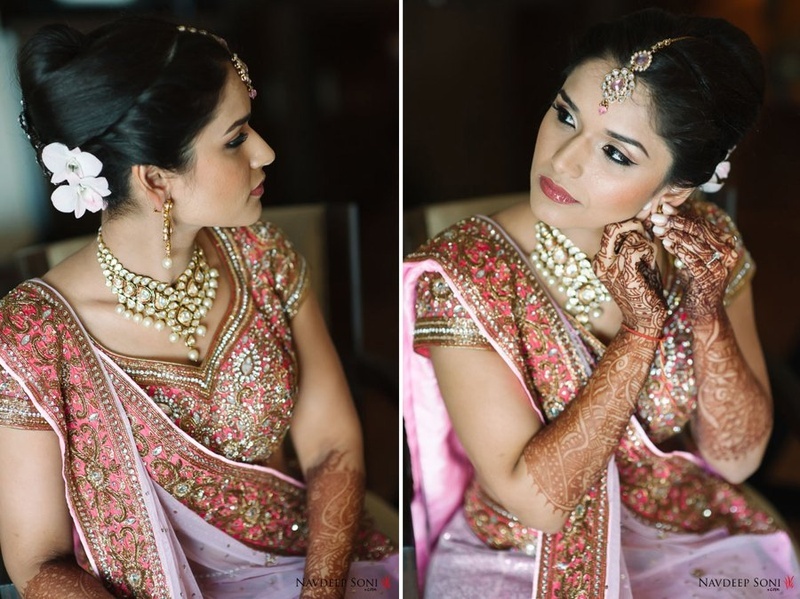 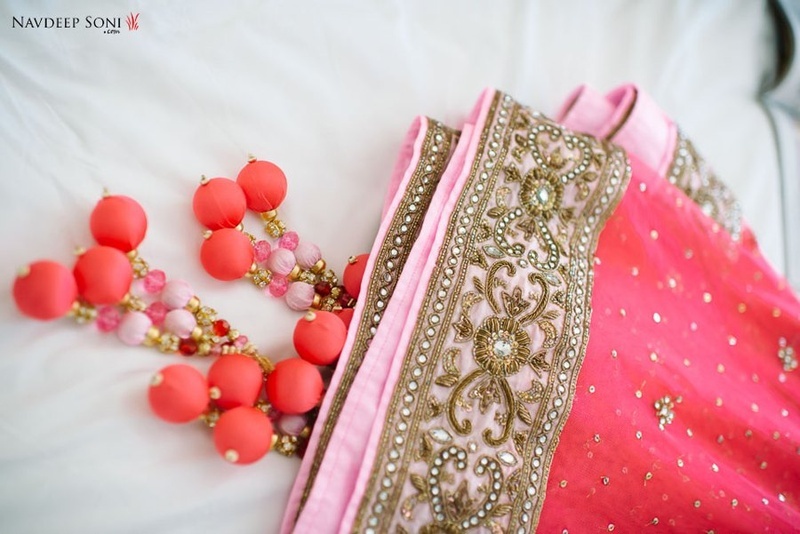 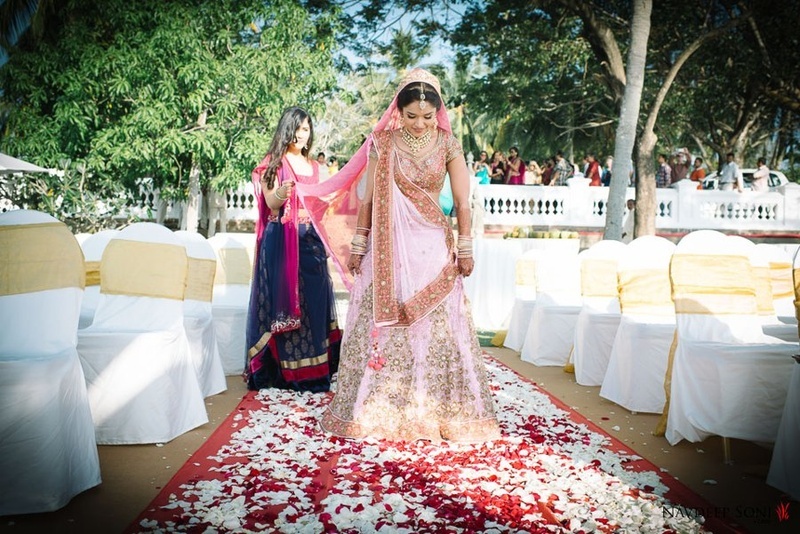 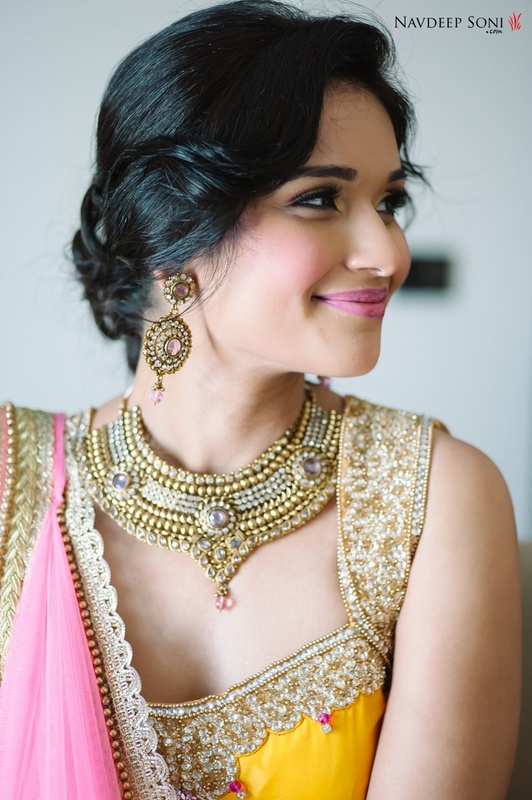 She wore a pretty pink lehenga embellished with embroidered motifs, sequins, and beads. 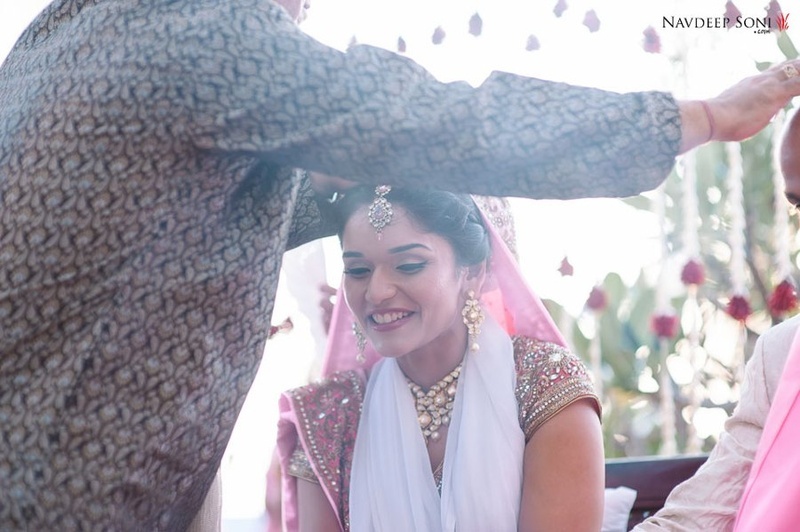 Abhishek complimented her brilliantly in his gold and white sherwani. 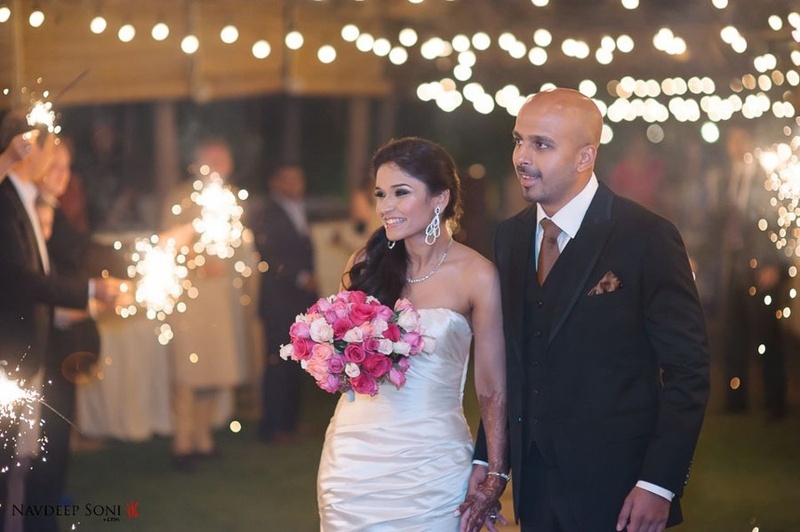 While the nuptials were set in a traditional tone, the reception was chic and contemporary with all its elements of glam. 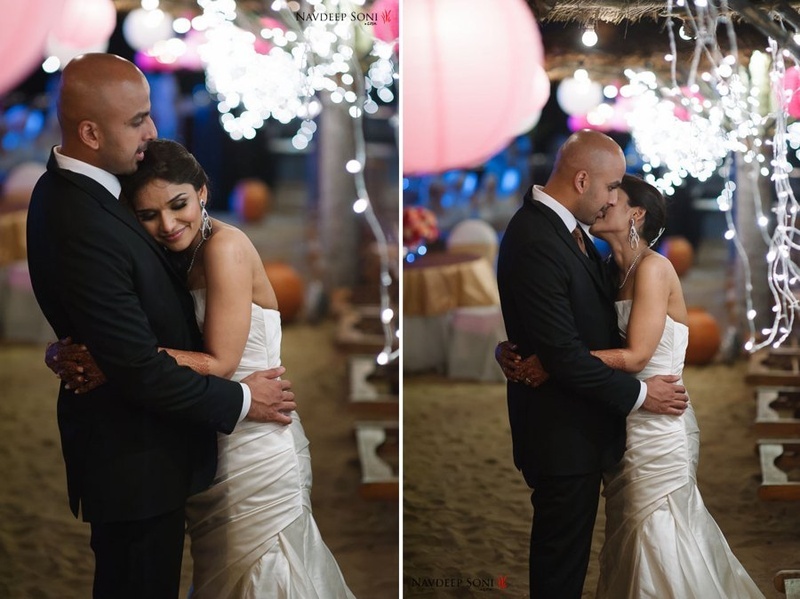 Set up by the beach, Neetu amd Abhishek went for a classy outfits. 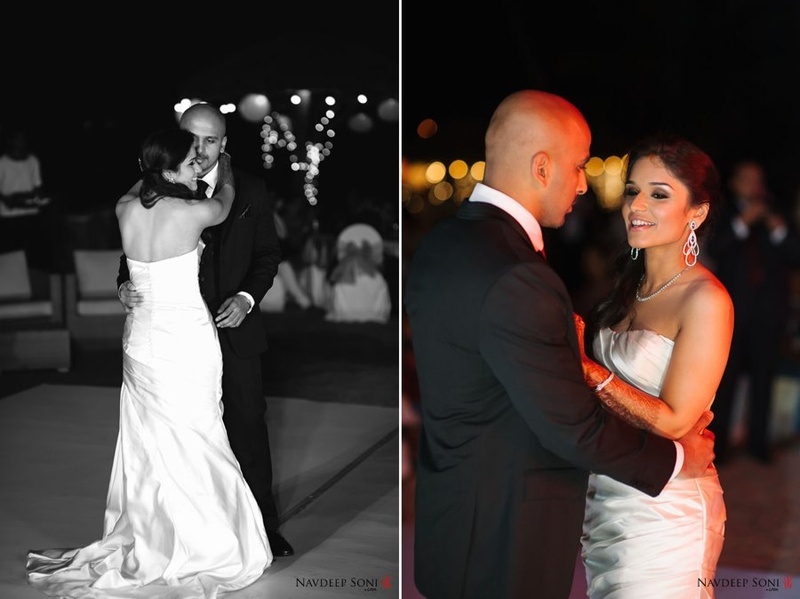 The beautiful bride wore a strapless white wedding gown while the groom donned a classic carbon black tux. 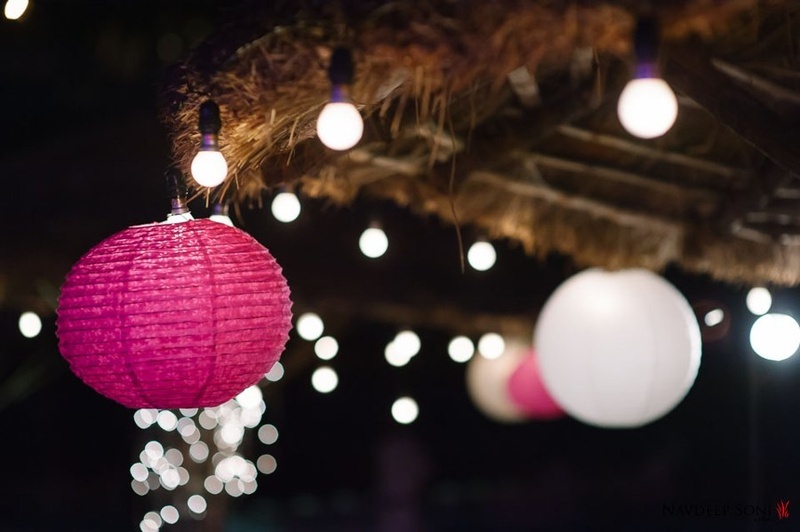 What we adore about their reception décor was the sole use of fairy lights and globe lanterns – definitely a good twist from the usual flower décor. 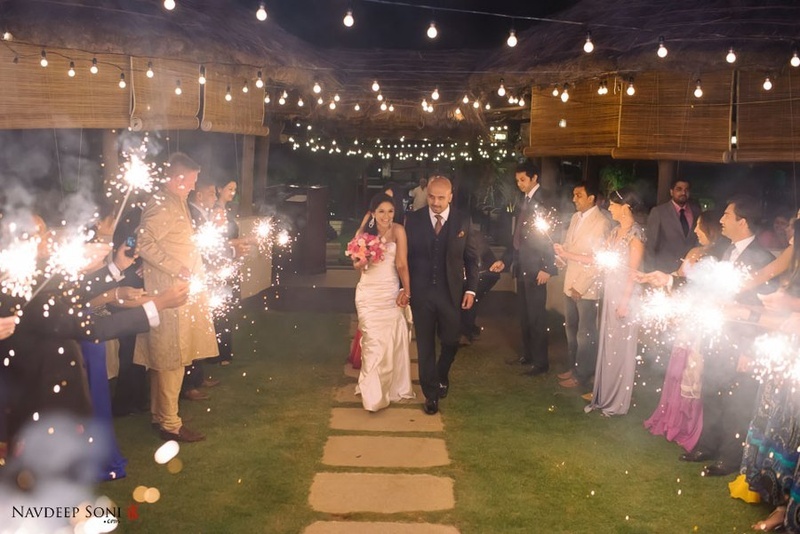 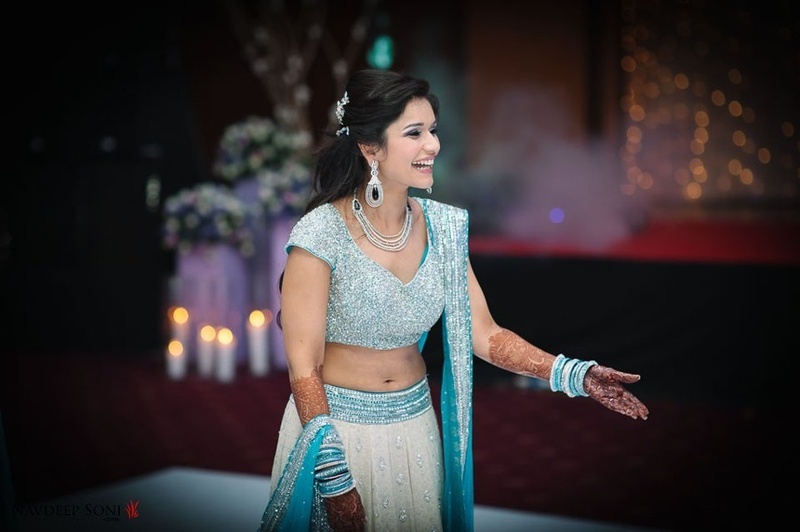 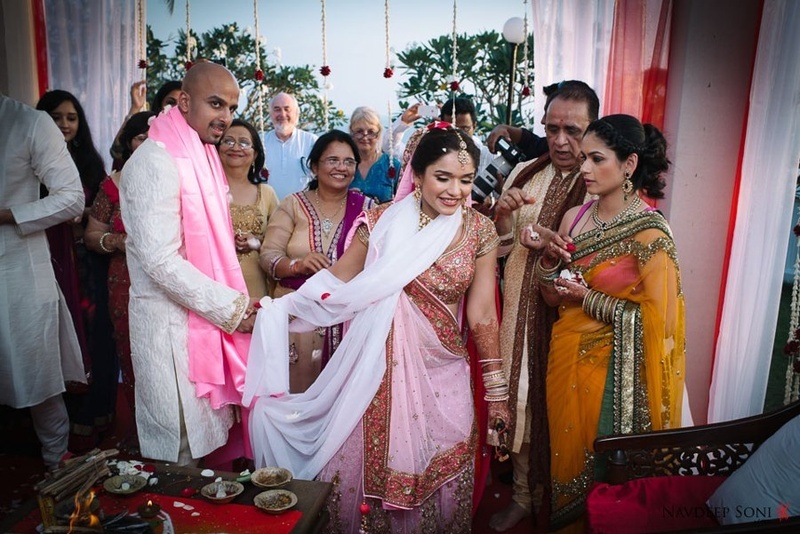 PS – Don’t miss the uber romantic sparkler entry as you scroll through this wedding! 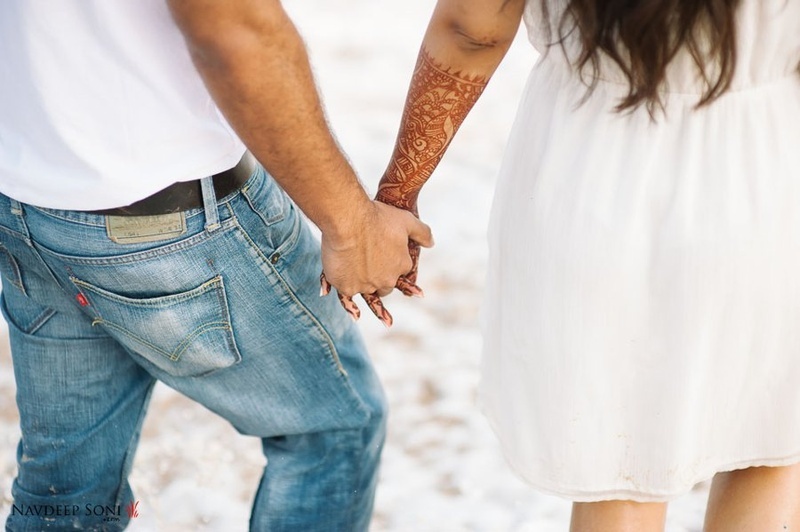 Going strong on holding hands! 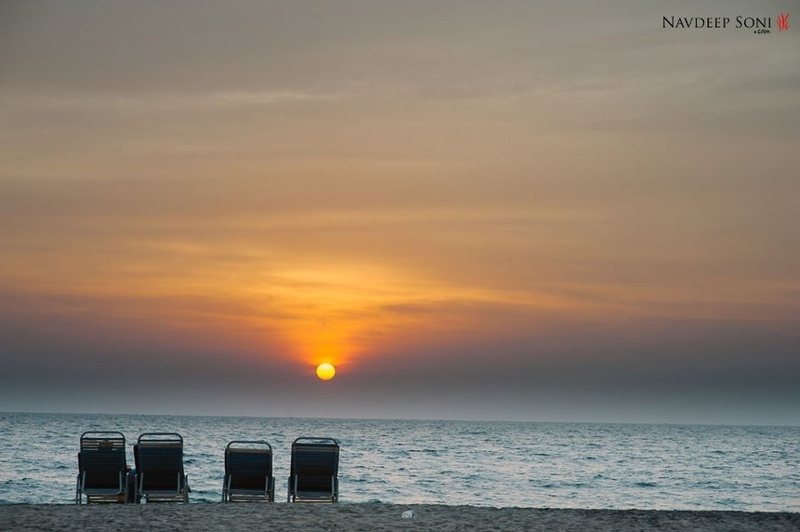 They cant seem to take in the beauty!